We kept the pumpkin butter paint and added PINK. The cats are going to have to find a new bed when Enatalem comes home! Both Wesley and Everett used the crib. Three weeks until she's in our arms! Tues (Feb. 16): arrive in Dubai at 7 p.m.
Thurs (Feb. 18): Dubai to Addis Ababa. Arrive around noon. I have an email in to Holt to see if we can meet Enatalem that afternoon since we're arriving so early. Cross your fingers! Fri (Feb. 19): official day to meet Enatalem! Fri (Feb. 26): Leave Dubai at 9:05 a.m. Arrive HOME 8:45 p.m. Some pictures, an update, and email, oh my! We hit the motherload this week: more photos and information on Enatalem than we've received the whole three months we've had her referral. We got EIGHT photographs of her from a social worker who traveled with the last group to Ethiopia. EIGHT! She's just adorable (Enatalem, not the social worker. We don't know what the social worker looks like. Although we do adore the woman for sending us these wonderful pictures). Anyway, I'm dying to post the photos. Enatalem has hair now! And at least two teeth! She's almost smiling in a couple of shots, and standing all alone in another (she looks so little)! We'd been worried about the health reports we'd been getting, but pictures really are worth a thousand words. Now, we are confident she's a happy blossoming little girl. The medical report is kind of old: Dec. 5th. And she was still in Durame. It says she had malaria and diarrhea. Poor little thing. It also says, get this--- she has "normal male external genitalia." Oops. We're pretty sure this is just a hilarious typo, but we're having Holt check for sure. So, after already hitting the jackpot we got MORE news today from a friend who is in Ethiopia this week. She's picking up her son, who's a few months older than Enatalem. He and Enatalem have lived together since at least October when we both got our referrals. Anyway, this dear woman took time out of her trip to send us an email (I didn't even know you could do that) about Enatalem. She says she is small but strong. "She was walking around her crib (holding on to sides) and was just smiling. The nannies love her very much, and say her name so sweetly. She has short dark hair, and is just a doll." Aww. How amazing it is to get a better idea of who our little daughter is. After months of knowing practically nothing. We have the new photos on the fridge. Next step: meeting her in person! 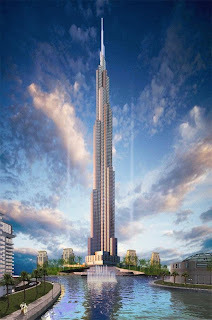 So, now that we don't have to rush home to Everett, we're thinking of spending a day in Dubai on our way to Ethiopia. The world's tallest building is there. Also, an INDOOR ski resort, an Atlantis water park, and a man-made palm-frond shaped like ---wait for it----an island. An island shaped like a palm frond. People live on it. And a monorail will take you to see it. What a crazy place! I'm picturing Disneyland/Las Vegas/church (I say church because even the super glitzy mall there has prayer rooms). Anyway, we're thinking we can live it up a little in Dubai before going to Ethiopia: go swimming, ride the monorail, and get our bodies used to the ELEVEN hour time difference. We've also heard that Emirates airlines is pretty nifty. They have t.v.s in every seat, bassinets for the babies, and a bunch of other good stuff I can't remember now. We got a quote from a travel agent: $1,645. Which isn't too bad, I don't think, from Denver. Everett would only pay $1,345. Enatalem will pay $145 on the way home. We would travel from Denver to Houston, then from Houston all the way to Dubai on the swanky airplane, and then from Dubai to Ethiopia. Here's what I think is funny: after a 14 hour flight from Houston we will land in Dubai at 7:05 in the evening. Our body clocks, however, will think it's 8:05 in THE MORNING Denver time. An ELEVEN hour time difference. We'll just be waking up. Everyone in Dubai will be getting ready for bed. How does the body adjust to that? The bad thing about Dubai is the hotel prices. So far everything seems to be $250 and up (per night, for two adults). Even the Holiday Inn is that pricey. Ouch. But when else are we going to go to Dubai? If we go we could say we'd been to the Middle East. We could cross Asia and Africa off our list of continents to see. P.S. No, we don't officially have travel dates yet. I'm just acting like we do. Should E stay or should E go? One thing we've struggled with since we got our referral is whether E should travel with us to Africa (Everett is the big brother so he's big E. Enatalem is little e). Everett is four. He's been on a lot of airplanes in his four years. But he's never been on a 30 hour plane ride. A 30 hour plane ride twice in ten days. I asked Holt if they had an opinion (I've heard that some agencies discourage you from bringing young children along). They didn't. They did say that a young sibling can sometimes help break the ice with your new child. They said that if we're worried about entertaining Everett that we can have a taxi take us to the Hilton or the Sheraton where he can swim. There are also some small parks around where we can take a taxi. That made us lean towards taking Everett with us. But we still weren't sure. So we made a list of pros and cons. -Everett would be able to meet his little sister on neutral territory, with the rest of the family, instead of when we arrive back home after a 30 hour plane ride and are exhausted, sick, and our new daughter is clinging to us so hard that Everett can't squeeze in a hug from her, mommy, or daddy. -We wouldn't be apart for ten days with two continents and an ocean separating us. -exposing Everett to illness. It sounds like almost everyone comes home sick from Ethiopia. How scary is it to have to worry your four-year-old will catch giardia just by opening his mouth in the shower? We made the decision not to take Everett. We were happy with this decision. We even convinced Everett that he was excited to stay home and spend some alone time with Grandma Joan (my mom). Then, we passed court. The idea of travel became more real. Everett wanted to know whose fingers he would rub while we were gone (Everett doesn't have a security blanket--he "milks" our fingers for comfort instead--yes, weird but true). The idea of being away from Everett for so long, unable to get back quickly for an emergency, really bothered me. We decided we wanted Everett to meet his sister with the rest of us. So, we're taking him. And Grandma Joan. She, by the way, got her first hepatitis shots weeks ago--I think she knew all along we would make this decision. (By the way, that's Grandma Joan and Everett in the picture. Abby the dog is also poking her head in the frame. The dog and the cats aren't coming. Pat said he had to put his foot down somewhere). When Pat and I go to Durame, my mom will stay in Addis with the boys (we've planned to bring Wesley, our twelve-year-old, from the beginning). We might have them stay at the Hilton while we're there, where there's a swimming pool, high speed internet, and satellite t.v.). Little e will have quite the entourage to greet her at the care center. Pat, me, Wesley, Everett, and Grandma Joan. Probably we'll scare her to death. But we're happy with our new decision. It feels right, to have little e meet her parents and both her brothers (and Grandma Joan), right from the start. In the middle of that 30 hour plane ride, I'm sure I'll have to keep reminding myself of that. Why not just catch the next plane to Ethiopia? Several people have asked me, "Why do you have to wait for your adoption agency to tell you when you can travel? If you're Enatalem's parents, why can't you just catch the next plane to Ethiopia and go get her?" Actually, I suppose we could. The problem is, we'd have to set up house in Ethiopia, because we couldn't come home. -after we pass court, the Ethiopian government has to issue a birth certificate for Enatalem. Children in Ethiopia don't automatically get birth certificates when they're born (birth dates aren't kept track of there like in the U.S. Enatalem's birth date is estimated). By the way, Enatalem's name on her Ethiopian birth certificate will be "Enatalem Patrick Brown." Kinda cute. -okay, next step. Once Enatalem gets her birth certificate then she can get her Ethiopian passport. -next, the court decree, birth certificate and passport are submitted to the U.S. embassy (keep in mind that all this stuff has to be translated from Amharic to English first). -Enatalem must have a physical exam performed by a U.S. approved embassy doctor. She'll be screened for HIV, tuberculosis, etc. (she was tested for all these things at the care center before we got her referral, too). I imagine they would deny her a visa if she had certain diseases (I'm not sure what). 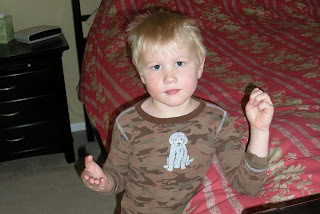 Children I know have come home with Hepatitis A, scabies, lice, giardia, tapeworm, etc. so clearly the U.S. doesn't keep you out of the country for everything. -finally, a U.S. embassy appointment is scheduled (this is where we come in--hooray!). We accompany Enatalem to the U.S. embassy, answer some questions, and a visa is issued allowing her to enter the U.S. ! The hold-up in this last step is that agencies are only given a certain set number of embassy appointments per month. As I understand it, our agency has appointments two days a month, with slots for ten families each of these days. Lots of families have been passing court in our agency lately, which is great, but means that all these slots are getting filled quickly. And so we wait. Our agency guidebook says our wait to travel should be between six to eight weeks from court. It will be eight weeks if we get in the second February travel group. So, we're counting on being in that second group. If we're not, we may just catch the next plane to Ethiopia anyway. We've waited for Enatalem long enough! I realized that we haven't done the big reveal of our daughter's name. These crazy adoption rules crack me up. Why is it okay after we pass court to reveal our child's name but it's NOT okay to post their picture until we travel? Who knows. I have learned at this point to just chill and follow the rules. So, big drumroll.....our daughter's name is Enatalem. It means "dear like a mother." Her birth mom gave her her name, which makes it pretty special. Our Ethiopian friends say it's an unusual name in Ethiopia. We can't wait to get to Ethiopia and hear how they pronounce "Enatalem." It's not a word that slips easily off the American tongue. We've talked a lot about what we'll call her when we bring her home. We'll let you know when we decide for sure. The good news is we got an encouraging email about little e's health. The nurse in Addis says little e interacts well with her caregivers and enjoys playing with her peers. She says little e is feeding well now and not encountering health problems. From the earlier emails I was picturing little e sick, crib-bound, and peering listlessly off into the distance. Hearing that she plays with her little friends is a big relief. Here's a weird thing. In our referral paperwork from early October they indicated little e could walk and talk and stack blocks. It surprised me that a malnourished, newly-institutionalized child could be so advanced. In the email we just got the nurse says that little e is able to walk around furniture. They expect that she'll be able to walk without support in a few weeks if she keeps up with this developmental pace. So does that mean she's regressed or she never was truly walking in the first place? Makes you wonder what you can really believe with these reports. Do I call and ask for more clarification? Do I try and find out if she was sick the whole time she was in Durame? To see if that explains why she hasn't gained more weight? Or do we just wait until we travel so we can see for ourselves how she's doing? Oh, so the bad news--we're not in the early February travel group that leaves Feb. 3rd. Darn. Holt said that we would "likely" be in the second group that leaves February 17th. The second group is only two weeks later than the first group. And I'd rather hear encouraging news about little e's health than be in the first February group. Hopefully the extra two weeks will give little e time to really stabilize her health. We got some updated numbers on little e. She's hardly growing. Nothing in height or head circumference. She's gained only a pound and a half in weight. They were concerned enough about it at our agency that the Ethiopian director called me. She sent an email to the staff in Addis to get clarification (little e, it turns out, was moved from Durame to Addis on Dec. 12). The latest email P from the agency got from Addis said that little e had been sick--vomiting and diarrhea--when she was moved to Addis. She's better now and is feeding well and is being watched closely by the pediatrician. As to how she is developing, the Addis staff said she doesn't have progressive development as her peers as she is a malnourished child. It's the last sentence that worries me. I don't know what it means. But it definitely isn't the happy progress report we were hoping for. P at the agency is following up with some more questions. P said that she didn't think the Addis staff sounded worried about little e. Perhaps I'm reading too much into that sentence. I hope so. I feel so helpless and frustrated. I didn't even know little e had been sick. I didn't know she was that malnourished. No one had even told me that she'd been moved from Durame to Addis (a month ago). Perhaps you can send some thoughts and prayers little e's way. It's her 16th month birthday today. Get your foot off my rock! 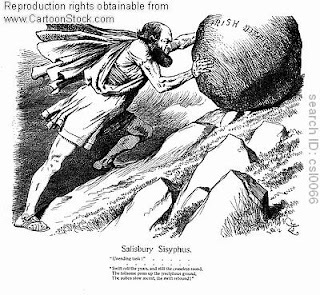 There's a guy in Greek mythology named Sisyphus. He was cursed by the gods to push a boulder up a steep hill, over and over. Each time he reached the top of the hill, the rock would roll back down again, and he would have to begin again. Do any of you feel like Sisyphus? I sure do. How many times have you pushed your boulder up that hill? Remember how eager you were when you filled out that first round of paperwork for your homestudy? Fingerprints. Letter from your doctor. Recommendation forms from friends. Check! Check! Check! You practically bounced that boulder up the hill and presented your hard work to the Powers that Be. And what did they do? They said, "Good job!" And then they kicked your boulder back down the hill. They told you, "Now, you need NEW fingerprints for the I-600 (the first fingerprints aren't sufficient) and for your dossier you'll need LETTERS of recommendations from your friends (the forms aren't sufficient), and a NEW letter from your doctor (the old one isn't sufficient)." "B-b-but--" you stuttered, as you watched your rock gathering speed and disappearing from sight. You wanted to point out that you ALREADY got fingerprints, recommendations from your friends, and a clean bill of health from your doctor. But these are the Powers that Be. You knew they could crush your adoption dreams with a signature. So, you meekly trudged back down the hill after your rock. You pushed your boulder up the hill again. Over and over. You completed your homestudy. You finished your dossier. You waited for your dossier to reach Ethiopia. You waited for your referral. You waited for your court date. You possibly waited for a second court date. And a third. Each time you climbed to the top of the mountain, only to have your boulder kicked back down the hill. I'm so tired of that rock I could scream. When we finally passed court I didn't feel the elation I thought I would. It was because half my attention was focused on my boulder and the toe that was hovering over it. I knew what was going to happen next. Nudge nudge. Roll roll. Down the hill it went. And now we wait for a travel date. The difference between us and Sisyphus, of course, is that we have a little child in Ethiopia counting on us to keep on shouldering that rock up the hill. And finally, finally, one day, we'll stand before the gates of the Holt care center in Addis. The Powers that Be will welcome up inside. They'll tell us to leave that awful boulder out in the street. We'll step through the doors and they'll introduce us to our our children. And immediately all those endless trips up the mountain will be forgotten. Not an eternity. It's doable. We can do it. So, now that we've passed court, now that we should have little e in our arms soon, it's time to-- SHOP! Right? I called S at our agency to see if she could tell me how big little e is so I could start buying some clothes for her. She said something like, "Remember, Ethiopian children are usually smaller than in the U.S. You really won't know for sure until you pick her up. And you'll have the opportunity to shop for clothes in Ethiopia. We caution our parents not to go hog wild buying clothes ahead of time." "Well. Hmphh," I thought. "You're spoiling my fun." I said to S, "You have to understand, I'm a new mommy and I don't even have a daughter to show for it. Shopping is all I've got." And then I went to the Carter's outlet store. Little girls' clothes are adorable. And little girl shoes--about the cutest things on the planet. Plus, it's January. Which means 70% off clearance sales. Let me just say, I've never been one of those women who loves to shop. I don't know anything about fashion. I've raised boys for thirteen years. Their clothes are boring. My sons wear the same tennis shoes every day. When that pair falls apart or is outgrown, they want exactly the same shoes in a bigger size. So, when I found the little girl shoe section in Target and the little brown leather shoes decorated with pink leather flowers and the pink plaid tennis shoes I called my husband and said, "We may be in trouble." Clearly I am not the first desperate-to-travel adoptive parent S has counseled. I wonder if any of them actually heeds her advice? You know those Christmas letters some people send out that make everyone in their family sound like Nobel Prize and Heisman Trophy-winning geniuses? Step one: Mommy (that's me), being all practical and trying to outfit little sister's room with hand-me-downs that she doesn't have to buy rummages through Everett's room and collects old baby toys that Everett hasn't played with in years and out-grown clothes. She then places the clothes in little sister's nearly empty chest of drawers and sets the toys into little sister's nearly empty toy bins. Step two: Everett discovers the toys and the clothes in little sister's room, steals them back, and dumps them on his bedroom floor. "Honey, you haven't played with those toys for years. Don't you think it would be nice to let your little sister have them?" "They're mine. I like them." "That pajama top doesn't even fit you anymore. It's a size three (show him the "3T" on the tag). You're a big boy now (appealing to his 'big boy' status is usually an excellent tactic), you wear a size five (show him the "5t" on his shirt)." Pink Cigars for Everyone! We have a daughter! We passed court! We are officially parents! We are jumping for joy!